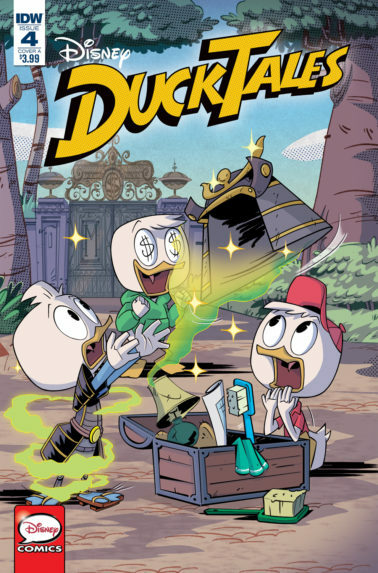 Right in time for Christmas, we will see the release of DuckTales Issue #4. 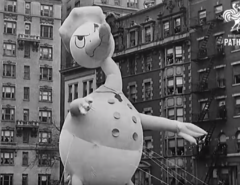 This time we continue with stories featuring the nephews and pick up where the TV show started with. Issue #4 will feature two stories. In story one Scrooge and company find themselves stuck in Happy, Happy Valley, where everyone is a little too happy! 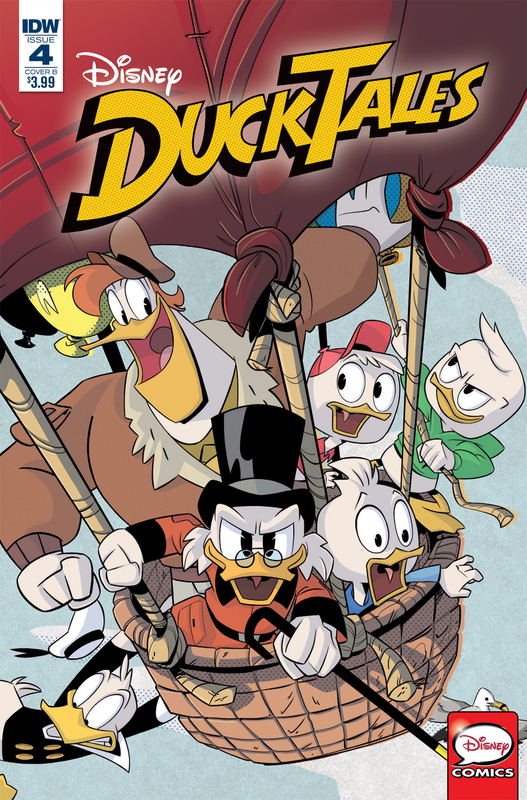 And according to the cover, we will see Launchpad McQuack in Story one again. In story two, can Huey, Louie and Dewey overcome the Curse of the Twin Samurai? Issue #4 also has different covers. 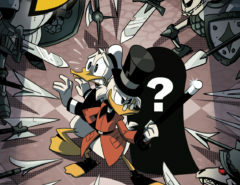 There might also be a Blue Print Variant Cover, but we haven’t see that one yet. 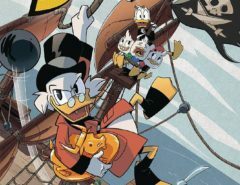 DuckTales Issue #4 is set to be released between December 20-30, 2017. You can already pre-order via Google Play or Archonia.